One of the most popular social networking websites “Facebook” recently launched a new feature for its desktop version, which allows user to find highest rated local businesses. This rating is based upon the customer reviews and other user experience. This new search feature will help businesses to enter in direct competition with reputed companies like yelp and Amazon. The professional service feature of Facebook will enable users to find best solution for their requirements. The businesses will be well categorized in their best suitable categories from Arts to Entertainment. It will cover all the possible categories according to user needs. For example, if you want to know the details of the best plumber, dentists, photographers, web designing and development companies, best mobile app development companies, beauty saloons, pizza places and so on, all the information you will get on Facebook. The information you will find after inserting your search query, is all genuine and rated by users. Facebook has not officially made any declaration for this feature. This feature was first noted by Mr. Sreedev Sharma, a social media manager of a leading web design and development company in India. The webpage for the new feature, which reads ‘Find local businesses with the best Facebook reviews and ratings’, can be accessed through the URL, www.facebook.com/services. “You can locate local searches for all categories of businesses starting from Arts & Entertainment, including business consultancy, computer services, home decor, event planning, pet services and more,” Mr. Shreedev Sharma wrote. When you click on one of the Facebook’s business categories, it will show you a list of well rated local business, with linked to their business profile pages on Facebook. Till now, their is no direct link of this latest update in Facebook’s homepage or its mobile app. 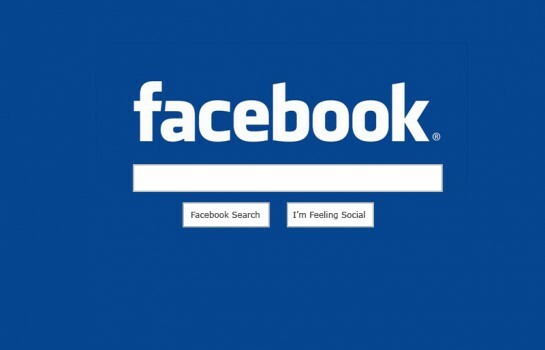 Is Facebook trying to become a kind of search engine? Or it wants to compete with Google? Well this all will be clear after the launch of this new feature. Till then, stay in touch with us for more latest updates.